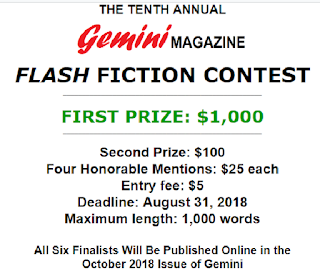 Less than 10 days left to enter for the 10th annual Flash Fiction Contest featuring a $1,000 prize and a low entry fee of $5. The deadline is Friday, August 31. Except for the 1,000 word limit, no rules! We are open to any subject, genre or writing style. Second prize wins $100 and four honorable mentions each receive $25. 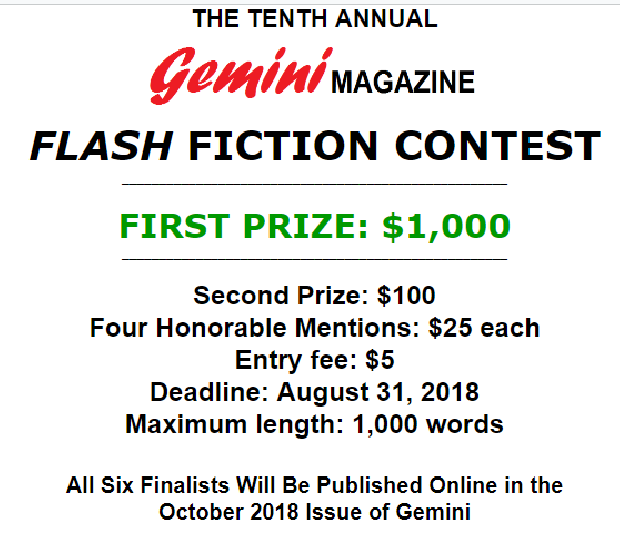 All six finalists will be published online in our October 2018 issue. Read more on how to submit here.